← Removing the VNIC completely from the Windows VM. 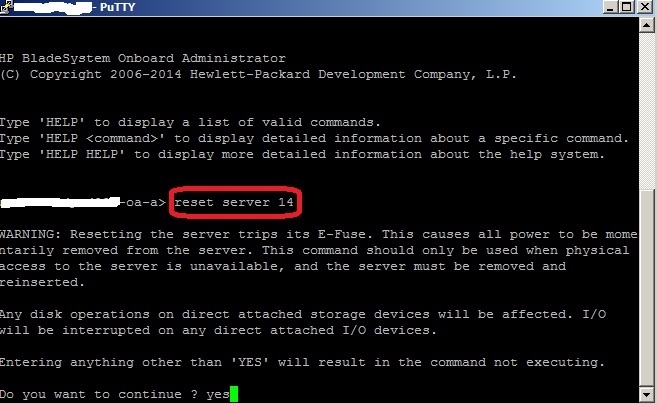 When physical access to the server is unavailable and blade is not responding properly from the enclosure, try to do the basic troubleshooting like reboot and if it is failed to fix the issue then it require blade to be removed and reinserted, use this command to reset the blade . Login to the OA using putty and run the command reset server X <X = Bay No > , it will reset the particular bay. Note : Pls make sure the exact bay number before running the command and also there is no I/O in the attached storage device. 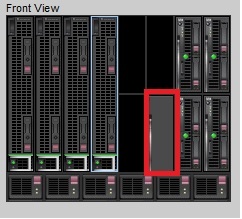 This entry was posted in HP and tagged Blade Server, hp c7000 enclosure, HP Onboard Administrator. Bookmark the permalink.